My friend Sam wrote prior to Sunday brunch – I can’t wait to meet Balenciaga. It made me laugh because while a bag is a bag, usually to us it’s a lot more than that! Bags are the one thing we take with us everyday, pouring our lives into them, grabbing, dropping, and sometimes throwing them wherever we go. Women sometimes forget that a bag is part of their outfit, it isn’t enough to have a chic outfit, the bag has to fit the look equation – it kills me to see it! Sorry for the squished terrible image, I spy an iPhone in the future with the promise of better pictures! I’ve been having a bag struggle since the summer, I invested in a Celine, but didn’t want to use it on the daily, I have a cross body Jerome Dreyfuss, but it’s too small to throw a MacBook into (and all the other things I carry). During a spur of the moment trip to Barneys in Boston I spied the bag I needed! 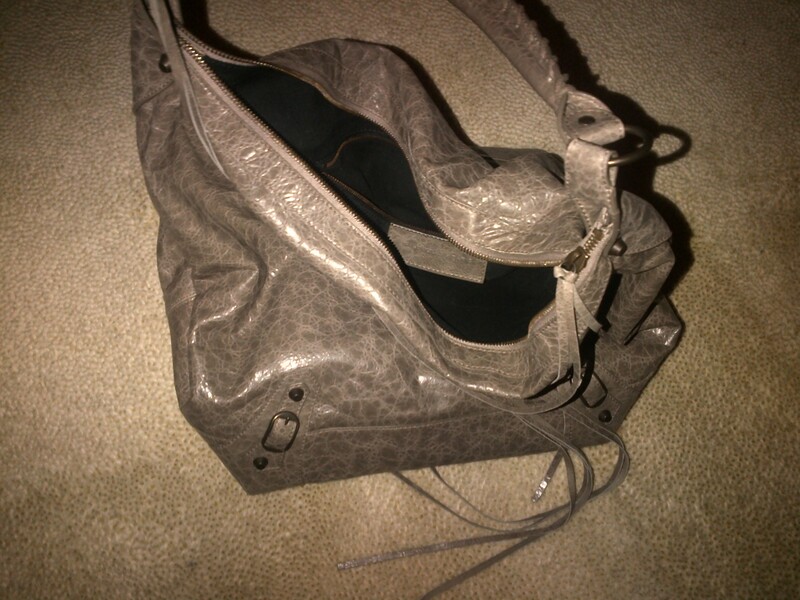 Indeed meet Balenciaga, she’s your everyday kind of girl with an edge, the grey color makes it easy to wear with a variety of looks, it’s sizable enough to carry a MacBook, but not too big that it can’t be worn out at night, and it can transition from fall to winter without a hunch! I love it and have spent the entire weekend with it and can’t wait to take it back to Boston with me. Sometimes unexpected purchases are the best kind.